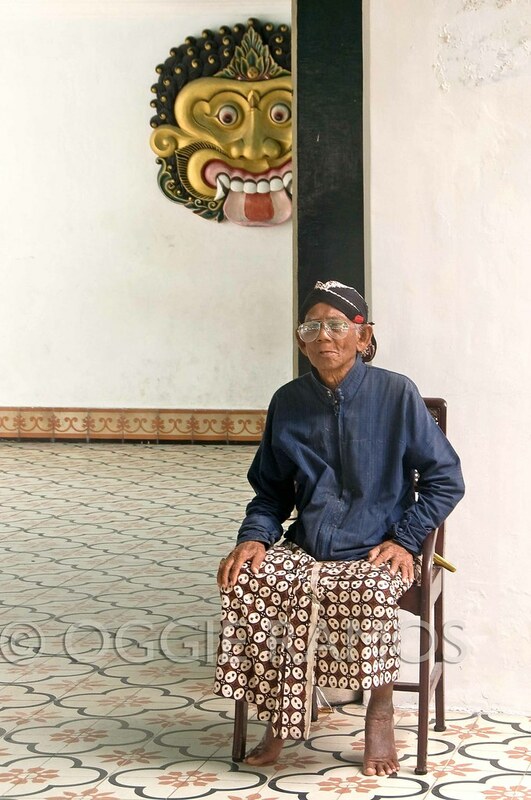 One of the most obvious attractions of Jogjakarta is the walled city of Kraton, the royal residence. 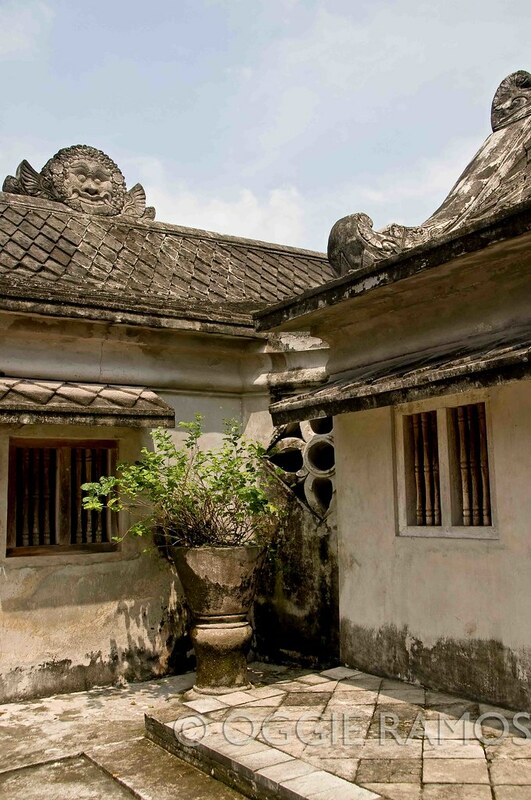 If Jogja is considered as among the best-preserved and most appealing cities in all of Java, the royal residence of its first family, the Hamengkubuwono, is its heart. Sultan Hamengkubuwono I, known as Mangkubumi, held court here in 1755, building the new capital for 37 years. It was in 1946 when the capital of the Republic of Indonesia was moved to Jakarta but Kraton remained to be the royal residence. It is now occupied by the current sultan, Hamengkubuwono X.
Peeking at the Tamansari. Visitors to Kraton usually enter through the northern gates passing through the busy town square, the Alun-alun Utara. Instead, we went straight to the Tamansari or Water Garden of Mangkubumi, west of the Sultan's Palace. (Open daily 9am-3pm; Entrance fee:Rp8,000/Php44/US$.88). 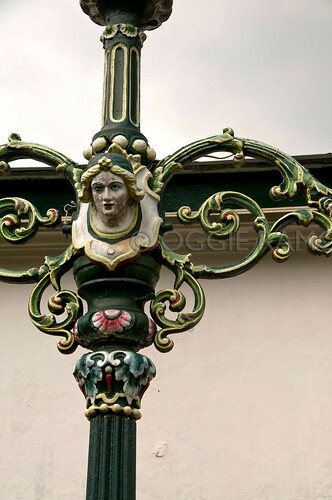 Designed in the 18th century as an amusement park, it features a series of pools and fountains. Some references we read go on to say that it is here where the Sultan takes a more than cursory look at his wives enjoying the waters with little or no clothing. An overeager guide told us of the photographic possibilities of the underground mosque but we were pressed for time and wary of offers that do not clearly state the price or fee beforehand. So instead, we explored the labyrinthine layout of the place where it's easy to get lost and where young locals do indeed escape to get lost for a tryst. At the fringes, there were houses whose residents share space with the complex's visitors. A guidebook says that the complex fell into disrepair and much of what we've seen was concrete reconstruction. We saw the rather heavy-handed rebuilding in some parts and we had to agree that charming as the place maybe, it felt a little over-reconstructed. Dropping by the Sultan's Palace. 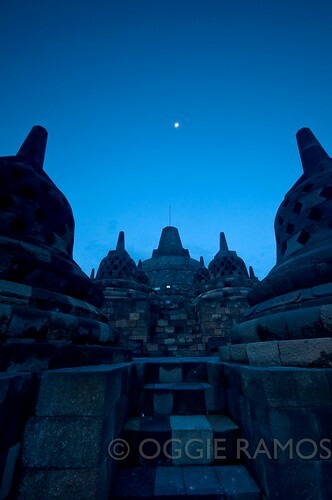 The Ngayogyokarta Hadiningrat lies south of the Alun-alun Utara. According to Roughguides, it was designed as a scale model of the Hindu cosmos with every plant, building and courtyard being symbolic. We watched enthralled by the Javanese dancing of students of the Kraton Classical Dance School and its accompanying gamelan before stepping into the serene courtyards. There is timeless elegance to admire in the pendopos (open pavilions) though many of them are off-limits to visitors. Elderly retainers were on hand to show the guests around. One even showed us paintings where the direction where the feet point change according to the angle of the viewer. Eerie curiosity indeed. If that wasn't eerie enough, one hall with a bank of royal portraits felt clammy, the air heavy with a timeless vibe that sent the hairs on my neck standing up. Treating ourselves to some candi. 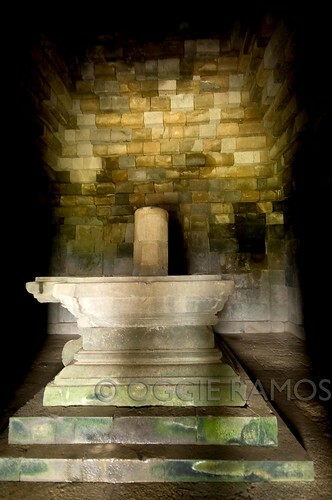 On our third morning, we took an unplanned detour to the highest-placed temple in Jogja -- Candi Ijo. 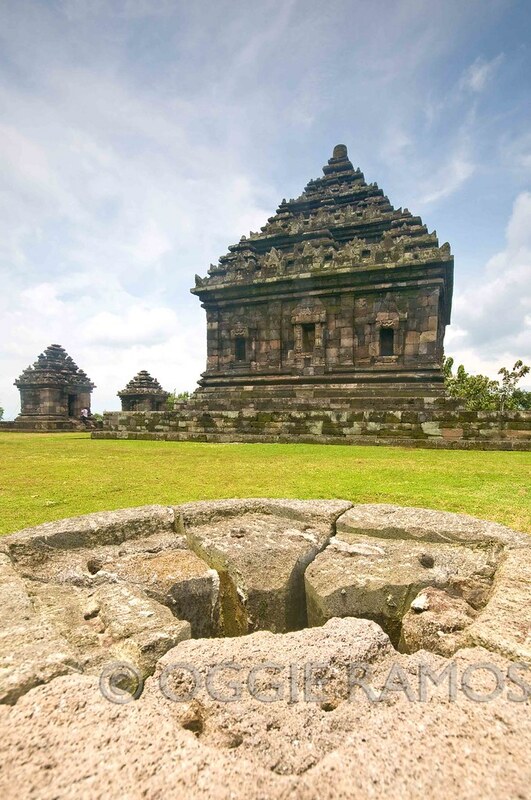 On the road south of Prambanan, there's a turn on the road that heads to Ratu Boko. At a small intersection, a signpost indicated leftwards going to Ratu Boko and right heading to Candi Ijo. After passing through green fields and rough roads that made our Avanza groan, and gaining elevation that made my ears pop, we see the temples. Much of the temples at the lower terrace lie in ruins although at the top terrace, the temples still stand tall. The temple at the center has a lingam-yoni, the male and female form reunited. 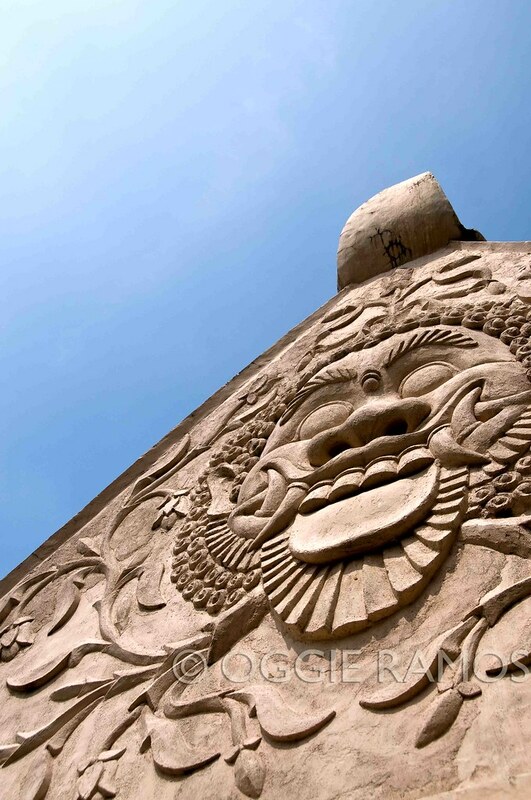 The other structures have interesting bas-relief not just on their walls but also the roofs. In one small temple, there was even bio-luminescent vegetation growing on the floor. Because it was the early part of the day and due to the relative remoteness of this candi (temple), we had the place almost to ourselves. Had we had the whole morning (or day) to devote here, we would likely admire the breathtaking view of the Prambanan plains from this elevation, the quiet only disturbed by the chirping of the birds and intermittent breezes that rustle through the trees. galing mo Oggie, sana ganyan din ako magsulat. I just learned of some places now, hehe! Thanks to your detailed search. Nids, the nice thing about looking back at the trip is discovering and reading about things you missed when you were caught up in the moment :D Thanks for dropping by and leaving a comment. Nice to hear your feedback and I hope the posts can help other travelers interested in exploring the places we went to. I love the angle from which you shot this. The shadows are very dramatic. Beautiful!